GARMIN GNS-480 WAAS SYSTEM. Removed for upgrade. Includes mounting tray, connector plate and FORM 1 only. Please note the 1st picture is a stock GARMIN photo, photos 2-4 of the actual unit and FORM1. I ship worldwide high bidder pays actual shipping costs. 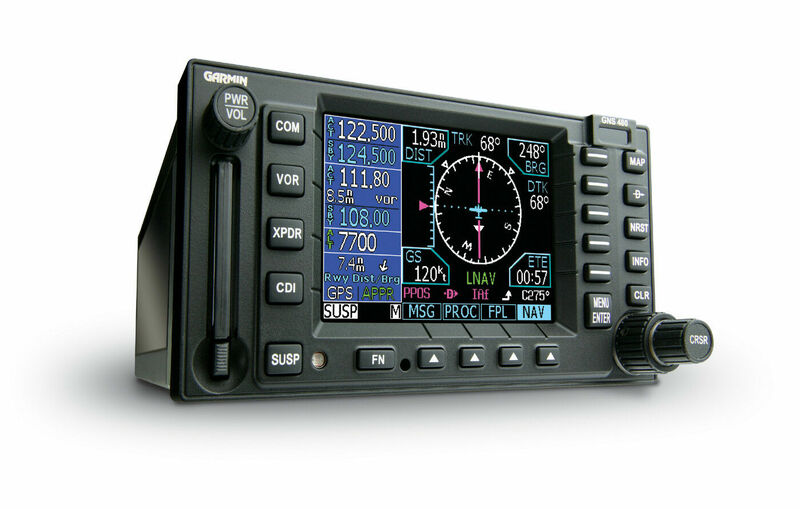 he GNS 480 is aviation’s first Gamma-3 WAAS-certified GPS/Comm navigator. It’s loaded with features and guidance capabilities that put it at the forefront of panel-mount navigation technology. In addition to GPS navigation, the all-in-one GNS 480 combines a built-in 760-channel VHF comm radio with 200-channel VOR, glideslope and localizer receivers. View graphics in crisp detail on its 256-color, high-resolution, sunlight readable moving-map LCD display. Useful features include multiple frequency storage, standby frequency monitoring, digital CDI, voice prompting and audio alerts, auto-decoding of Morse code station identifiers and single-nav cross check of position fixes. GNS 480 is the first integrated GPS navigator approved to fly LPV “glideslope” approaches without reference to ground-based navaids of any kind. Featuring an advanced 15-channel receiver capable of five position updates per second, the GNS 480 meets the FAA’s stringent TSO C146a standards for WAAS “sole means” navigation – offering vertical, as well as lateral, approach guidance into thousands of U.S. airports previously inaccessible in IFR conditions. Working in tandem with standard autopilots that accept roll-steering commands, the GNS 480 behaves like a high-end flight management system (FMS) by providing the necessary guidance data to fly the aircraft through all approach procedures. GNS 480 is designed to accommodate a variety of traffic and weather alerting interfaces. It has the built-in controls for a remote transponder, such as the GTX 33, Garmin’s solid-state Mode S transponder. GNS 480: Taking GPS to a whole new level.